TrekMD wrote: How long were you waiting?! About an hour... which is why their kinda rough. Still needs some work, but I feel like I'm getting closer to the final artwork. He did a great job on it and it was an interesting variation. 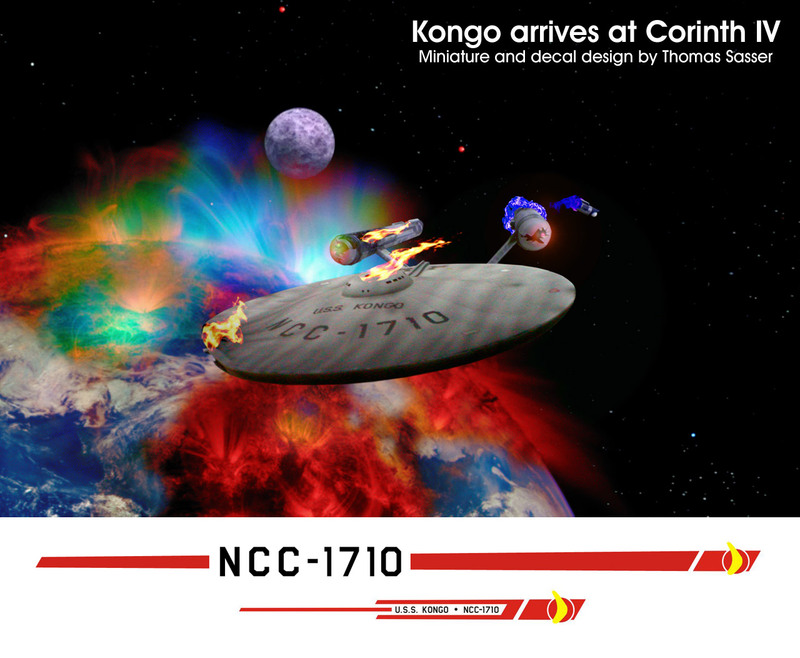 The idea is what would plans of starship 1701 have looked like before construction started in 2243? 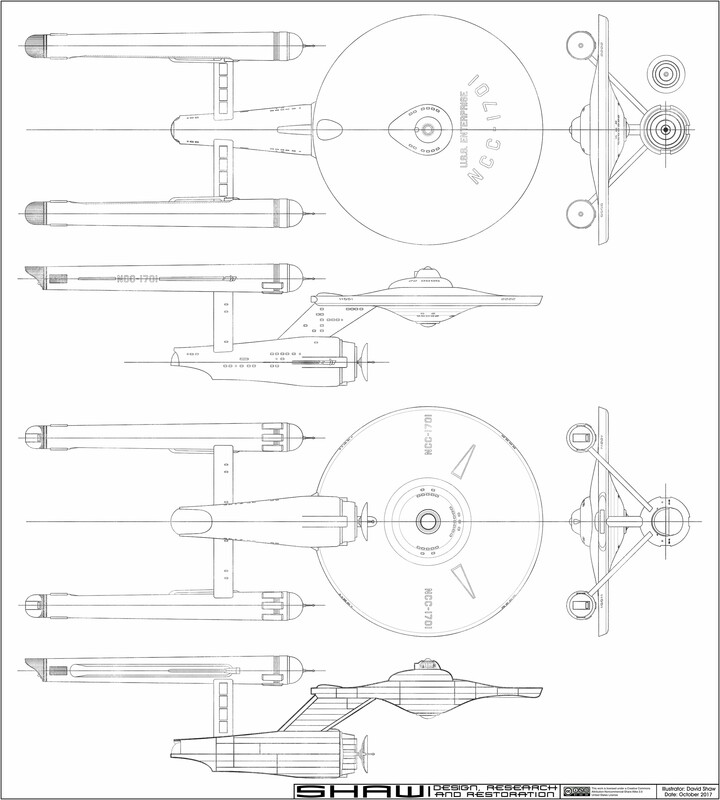 It's a combination of my reverse engineered 1964 Jefferies plans and the work I had done on deck plans between 2008 and 2010. It might not come to anything in the end, but it has kept me occupied. I hope you follow through. This would be interesting. I like the places your head takes us Shaw. What is the egg shaped thing on the top/rear of the saucer? I don't recall ever seeing anything like that. they'll make for an excellent period-appropriate "MasterScreenDisplay"
when all the subsystems are filled in, though as a general fitout it's great for TrekRPG'ing. as the borg would say, 'yoink"
I uploaded a handful of changes to my demo site. Eventually I'll make it into a final version. slawton wrote: What is the egg shaped thing on the top/rear of the saucer? I don't recall ever seeing anything like that. I'm not sure... impulse reactor blister? This was a feature included on both the October and November 1964 plans for the studio models, but the October plans included an alternate configuration which is what ended up on the models. Both drawings had a single impulse engine opening while the alternative with two was also part of the October plans. Of course the real reason for either element was essentially as a bolt cover that would allow easy access for removing the primary hull. At first this was so the primary hull could land, but later became important in storing the 11 foot model (which was generally only assembled before going in front of the cameras). Here is a bit more progress... mostly me playing around with interior ideas. 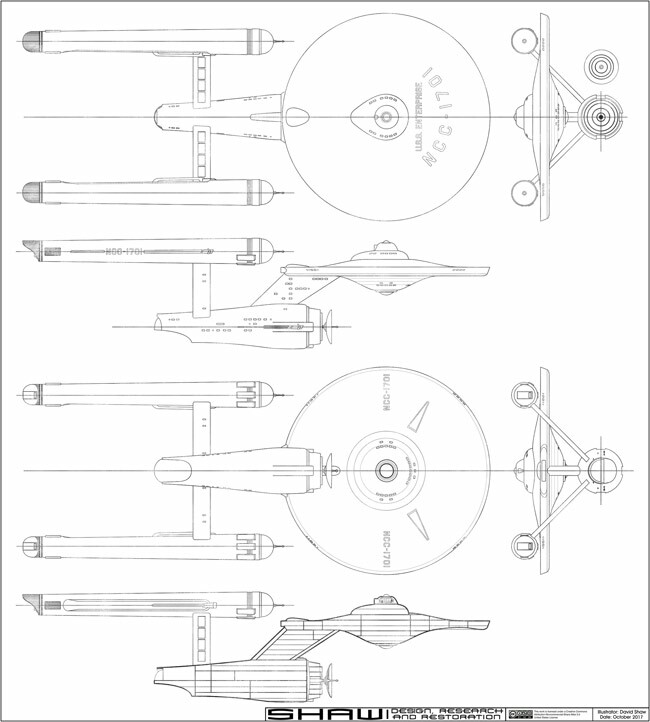 A bit more playing around... though I'm not sure there is really any need/want for another set of deck plans for the Enterprise. I'm mainly doing this to nail down the elements that will be seen in the cross section. One aspect that I should note is that the design can receive shuttlecraft, but has no provision for storing/maintaining them. This makes the Starship class a lot like the Arleigh Burke-class destroyers where all of the ships have landing pads, but only the later versions include enclosed hangars for storage/maintenance of assigned helicopters. One could assume that the Enterprise was only retrofitted with shuttlecraft support abilities around the beginning of TOS. Shaw wrote: A bit more playing around... though I'm not sure there is really any need/want for another set of deck plans for the Enterprise. I dunno, Shaw. 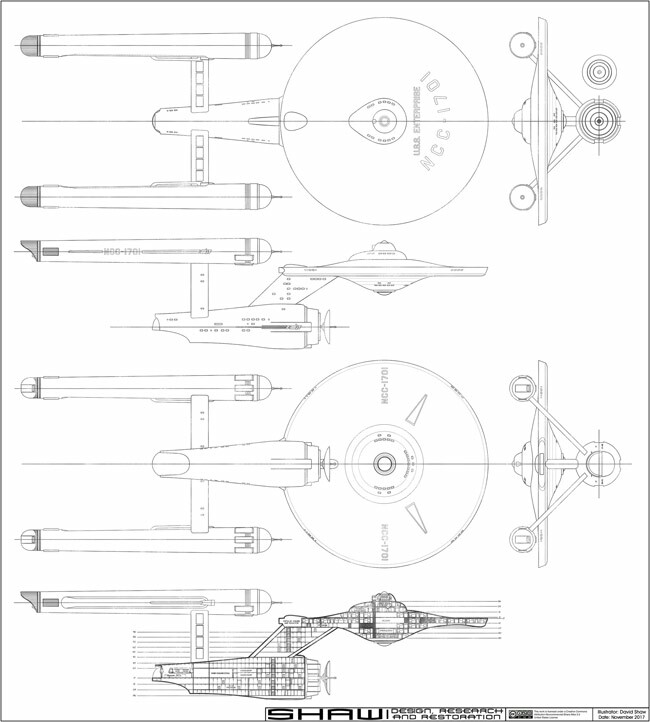 I think other online blueprints attempt to show the Production run of the Enterprise rather than the Pilot ship. I think it's great you are focusing on the first arrangement! Keep going! 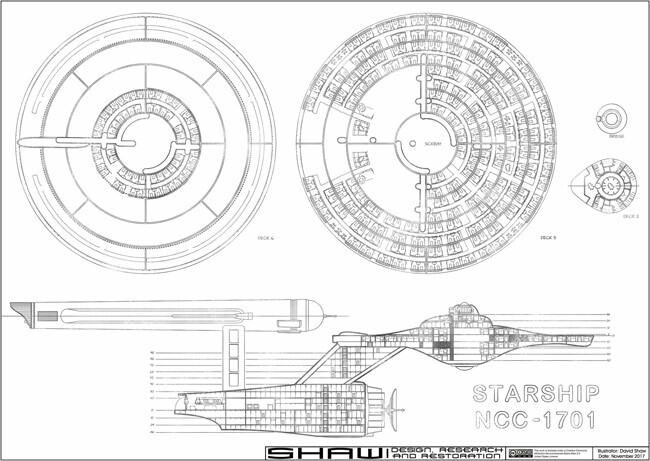 Shaw wrote: One aspect that I should note is that the design can receive shuttlecraft, but has no provision for storing/maintaining them. This makes the Starship class a lot like the Arleigh Burke-class destroyers where all of the ships have landing pads, but only the later versions include enclosed hangars for storage/maintenance of assigned helicopters. One could assume that the Enterprise was only retrofitted with shuttlecraft support abilities around the beginning of TOS. Interesting point, Sir. I was also thinking, if the Federation does, like the modern American Navy does, in that they commission a ship, bigger than the last namesake with more capabilities, and, once launched, de-commission the last model and simply transfer the history to the newer ship. 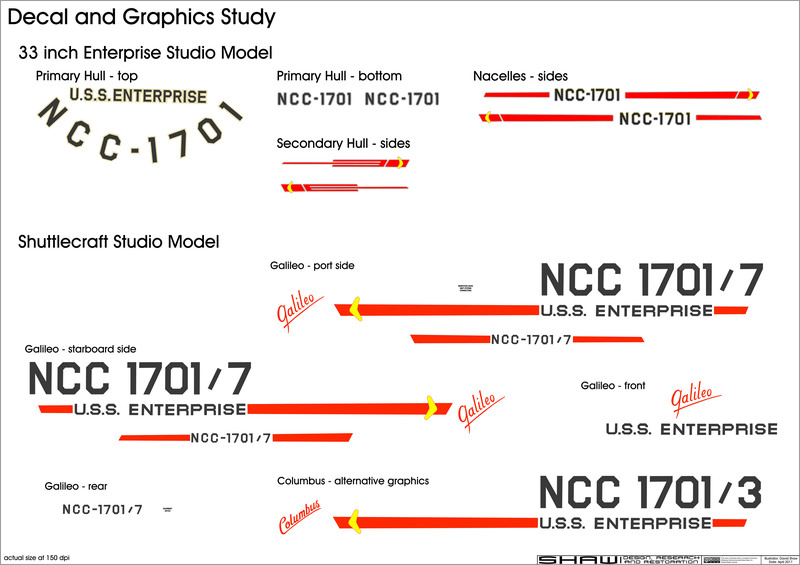 This might explain why the Production Enterprise could accommodate more Shuttlecraft and store/maintain them as well. As always, I enjoy your drawings and musings!